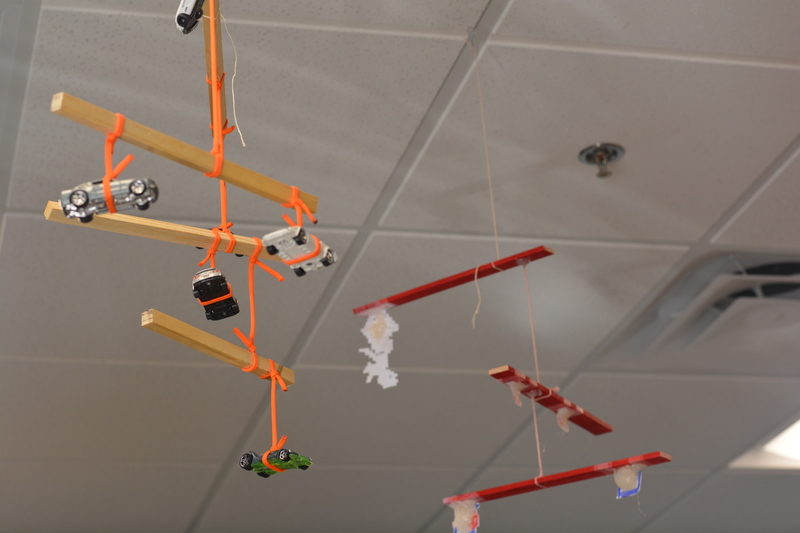 Physics Scholars used math to create mobiles out of various objects. 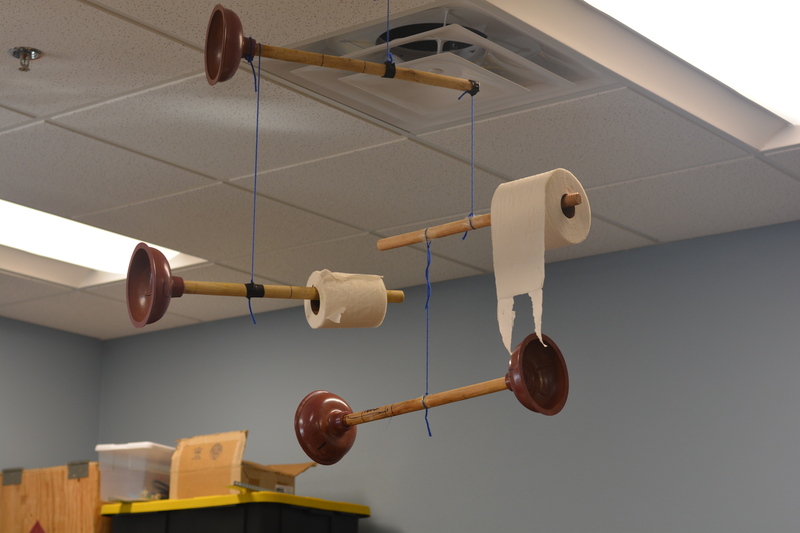 The ASK Academy Physics class built mobiles to study torque and momentum. Scholars in Ms. Headrick’s class were given the job of creating a mobile with a theme, in order to test balance. Before building the mobile, scholars had to do the math and calculations of their products. “Each had to be artistically appealing with a minimum number of objects and arms, and had to come with a blueprint,” Headrick said. Physics Scholars used math to create balanced mobiles out of various objects. Love it…I will thinking about this object lesson next time I am sitting in the “reading room”. Wonderful stuff.